Thank you, Proximo Marketing CreateAthon! Williamsburg Community Foundation was thrilled to work with Proximo Marketing Strategies to redesign their website during the 2016 CreatAthon, a 24-hour blitz where the firm provides creative marketing services to nonprofit organizations on a pro bono basis. 2016 was the fourth consecutive year that Proximo has held this community service event. Proximo did a complete re-design of the Foundation’s website, giving the site an updated look and making it more user-friendly for Foundation staff and volunteers to manage in the future. In 2016, Foundation grants supported free mammograms; arts programs in local schools; programs that make mental healthcare more accessible to low-income families; weekend field trips for local high school students to learn about the ecology of the James River; transportation for women who are coming out of abusive relationships and trying to get to work and appointments; and many, many more. 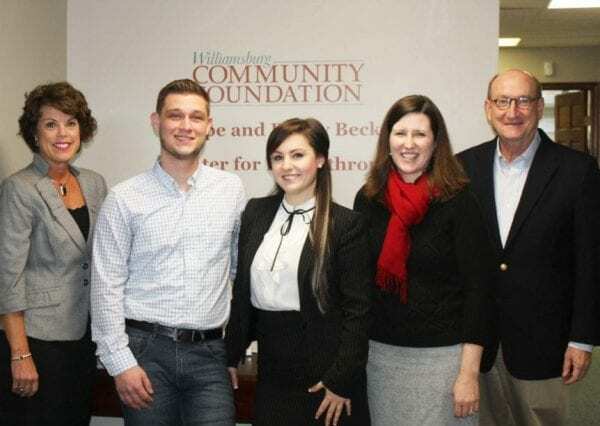 In addition, the Foundation awarded over $55,000 in scholarships to deserving students from Williamsburg-James City County public high schools.